Staging an opera is always a colossal undertaking, especially when it relies on an already well-known story. 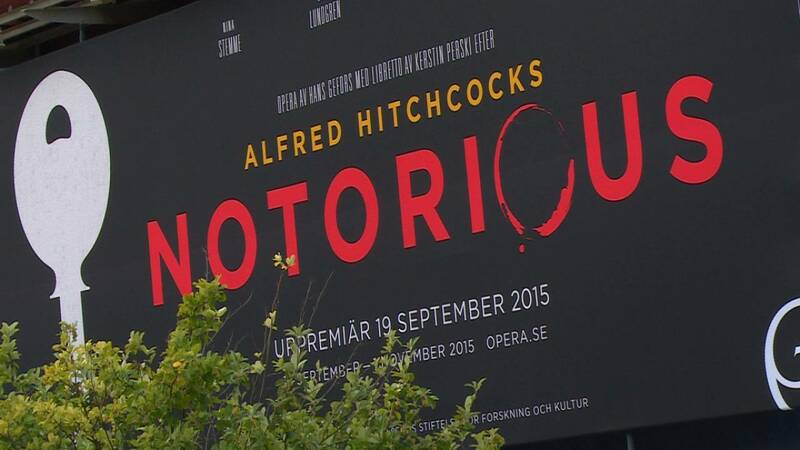 That’s the case of “Notorious”, which film buffs will immediately associate with Alfred Hitchcock’s 1946 thriller. In Ingrid Bergman’s native Sweden, Gothenburg’s opera house is honoring the Hollywood legend with an operatic version of Notorious starring soprano Nina Stemme, also a Swede, in the lead role of Alicia. The opera’s creative team sought to give the piece a deeper psychological dimension. Perhaps best illustrating this touch are the characters of Alex Sebastian and his mother, played by mezzo-soprano Katarina Karnéus. “It’s quite an interesting relationship between Madame Sebastian and her son Alex. It’s almost a little bit too close for comfort, I think she’s punished him a lot as a child, he’s very much under mum’s hand, basically. In the film we don’t see this harshness of the character, and in the opera on the stage she’s more harsh, she’s more evil,” Katarina Karnéus said. British stage director Keith Warner concurred: “I thought there was a very interesting meta-level of the story, about how women, actresses, daughters of strong fathers, share the problems of control. Alicia’s is not just the problem of being the daughter of a Nazi but it’s also being the specific daughter under the control of this father figure, or [the problem of] all of us fighting our psychological lives with some overseeing person controlling how we think, what we do and how do you get free from that.